Offering massage therapy to clients in the Hickory, Newton-Conover, and the Catawba County Unifour areas of North Carolina, Suzanne Eller, LMBT #7619, is an independent massage & bodywork therapist. Suzanne's office is at Hands On Massage Therapy, 407-C 2nd St. NW, Hickory, NC. She offers a variety of services including Swedish, Deep Tissue, NMT, Reiki, Craniosacral Therapy, Massage Cupping, Geriatric Massage, Pillossage™, Touch For Health, & Lymph Drainage Therapy. Suzanne specializes in tailoring a plan using multiple modalities to treat your specific needs. See Suzanne's full menu and qualifications below and on the Hands On Massage Therapy link. Suzanne will individualize your session and work with you in a professional manner to help you achieve your health and well-being goals. Please call her at 828-310-0161 to schedule an appointment. Prices are generally $35 for a half hour; $60 for and hour; and $90 for 90 minutes. Some modalities require extra preparation or special products and may cost more. $10 off all one-hour massages for seniors (60+) and educators. Massage is one of the oldest forms of healing arts, used as far back as 3,000 years ago. The earliest records are found in China and Egypt, but nearly every other ancient culture in the world recognized the value of touch and of manipulation of the soft tissues to relieve stress and pain, to prevent injury, and to prevent and cure illness. Today, massage therapy is a highly respected form of holistic healing and is practiced all over the world. There are numerous massage modalities, and some of these have their roots in the past as sacred healing techniques. Modern massage techniques manipulate the soft tissues and muscular structures of the body to reduce stress, fatigue and pain by improving circulation and lymph flow. Bodywork therapies also address issues involving range of movement and manipulate the energy field to help the body heal itself. Please see the lists of physiological benefits and psychological benefits of massage in the sidebar. It is beyond the range of practice for massage therapists to diagnose, prescribe, or perform adjustments. Massage therapists must be licensed in North Carolina. Experts estimate that up to 90% of disease is stress-related. This makes massage and bodywork an important ally in keeping us healthy and in slowing the aging process. In response to massage, beneficial physiological and chemical changes cascade through our bodies. Making a regularly scheduled massage part of your self-care can slow-down the aging process and keep disease at bay. Suzanne Eller, LMBT #7619, graduated from The Whole You School of Massage and Bodywork and practices massage as in independent contractor at Hands On Massage Therapy in Hickory NC. She is certified by the National Certification Board for Therapeutic Massage and Bodywork (NCBTMB) and licensed by the state of North Carolina. She is on staff at the Upledger Institute as a teaching assistant for Craniosacral Therapy. Suzanne is a member of the American Massage Therapy Association, the Touch for Health Kinesiology Association, the International Association of Healthcare Practitioners, and the International Association of Reiki Practitioners. Deep Tissue Massage Therapy: Deep tissue therapy is used in conjunction with other techniques when needed. The therapist must understand the layers of the body's tissue and uses slow, deep stokes to relax, lengthen, and release holding patterns in the myofascial system. There is less emphasis on relaxation and more emphasis on altering the structure, improving posture, and alleviating pain. 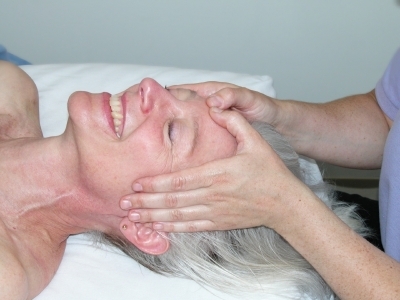 Craniosacral Therapy : Craniosacral Therapy is a gentle but powerful hands-on treatment that facilitates the body's own self-healing mechanisms. Pioneered by Dr. William Sutherland and further developed by Dr. John Upledger, Craniosacral Therapy (CST) is supported by extensive and ongoing scientific research, as well as over fifty years of success in clinical and therapeutic settings. SomatoEmotional Release SomatoEmotional Release is an adjunct to Craniosacral Therapy. Even when Craniosacral Therapy releases tissue restrictions in body, sometimes trauma remains as an energetic signature long after the physical healing has occurred. It is as if the body's somatic memory holds onto the trauma. SomatoEmotional release uses the concepts of Craniosacral Therapy and the strong body/mind connection to release emotional trauma located in somatic memory and the resolve physical symptoms that result from trauma. Dr. John E. Upledger discovered that the body frequently holds onto the emotional imprint of physical, mental, or emotional trauma or shock. These energetic imprints, which may result from intense feelings that occurred at the time of injury, leave residues in the body called "energy cysts." The body/mind's response to such a traumas is to energetically enclose it and then to compensate around the injury. Thus, it's a bit like water finding a new path around a dam— we adapt to our energy cysts so that we can continue functioning in the world. However, this adaptation means that the body requires extra energy to continue performing everyday functions. Consequently, the body's adaptive pattern becomes less and less effective, and new symptoms appear. Finally, the body can no longer suppress or ignore the energy cyst. SomatoEmotional Release allows the body to communicate its needs to the therapist through the rhythm of the craniosacral fluid and through the therapist's use of specific imaging and dialoguing techniques. The energy cyst can then be released gently, often without the client needing to analyze the trauma. In fact, the body often spontaneously returns to the position it was in when the injury was first sustained and releases the imprint in that position. Directed energy from the therapist to the client is also used along with fascial releases and other therapeutic techniques. Then the therapist can feel the tissues of the body relax as the energy cyst is dissolved. Lymph Drainage Therapy: Manual Lymph Drainage Therapy (LDT) is a therapeutic treatment using "feather light" pressure in gentle strokes to increase lymphatic flow, improve the immune response and remove cellular debris and fluid from the body. This subtle technique not only activates lymphatic circulation but also stimulates the parasympathetic nervous system (rest and digest) to further enhance the immune response. Developed by French physician Dr. Bruno Chikly of the Chikly Heath Institute, LDT enables the therapist to use precise anatomy and distinctive manual processes to detect the specific rhythm, direction, depth and quality of the lymph flow anywhere in the body. Then the therapist uses a technique called Manual Lymphatic Mapping (MLM) of the vessels to determine the best alternate pathways for draining stagnations in the lymphatic flow. The lymphatic vessels are near the surface of the skin, and too heavy pressure causes the delicate lymphatic capillaries to collapse. Very gently pressure of about 5 grams is required. Working with flat hands and all the fingers, the therapist manually simulates the gentle wave-like movements of the lymph which in turn stimulates the functioning of the immune and parasympathetic nervous systems. Sinus Massage with Lymph Drainage Therapy: People who live in the Southeastern part of the United States are often quite familiar with the pressure and pain of irritated, swollen sinuses because of the natural and manmade airborne pollutants of the region. Sinus Massage with LDT is effective way to treat blocked sinuses as long as the client does not have an untreated infection that might be spread throughout his/her system or to others. This is especially true if fever and/or nausea is present. Using the feather-light manual facilitation of LTD and teh healing attributes of aromatherapy, the therapist will gently stimulate the lymphatic circulation in the sinus regions of the face. This in turn improve the natural drainage that has been blocked so that the sinuses begin to release excess mucous and clear, thus removing the congestive material. Massage Cupping: Massage Cupping is based on a procedure used in Traditional Chinese Medicine (TCM) but modified for the massage room. The suction level is generally less, and there are less frequent “cup kisses” than in TCM. Massage cupping can be used to treat bursitis, plantar fasciitis, tendonitis, sinusitis, and other inflammatory conditions, headaches and migraine, entrapped nerves like sciatica and carpel tunnel, edema, irritable bowel syndrome, insomnia, cellulite and water-retention, stress and tension, scars and adhesions and many other conditions. Massage cupping does this by lifting connective tissue, facilitating hydration and blood flow to the tissues, and opening the lymphatic pathways so they can drain excess fluid and toxins. The therapist usually applies cream or oil to the client, and moves a vacuum cup over the tissue. The back, abdomen, chest, neck, face, soles of the feet and limbs may be treated. Teaching Assistant Susan Smith of Body Balance II receives Pillossage™ from Karen Kowal of Mother Earth Pillows in a continuing education class also attended by Suzanne Eller. Here, Smith receives Pillossage for the arm and pectoralis muscles. Pillossage™ & Thermal Connective Tissue Release: This new pain relief modality is perfect for clients who need deep release of muscles and connective tissue but who do not like or cannot tolerate the deeper and pointed pressure of neuromuscular therapy or traditional deep tissue massage. These include clients with specific conditions such as fibromyalgia, osteoarthritis, degenerative disk disease, excessive scarring, etc. Pillossage prevents the natural muscle guarding that may actually increase pain and that sometimes occurs with traditional deep pressure techniques. Specially designed and patented massage pillows filled with flax seed and buckwheat hulls are heated to a temperature that enables the therapist to slowly and gently work through the layers of soft tissue to reach the deeper origins of pain as deep as the periosteum, or the connective tissue which covers the bones. Using this innovative thermal therapy, the therapist can access deep tissues that otherwise are too painful to effectively treat. Connective tissue literally "melts" as it changes from a gelatinous state to a more liquid state that allows cellular debris (toxins) to empty into the lymph more effectively and results in significant pain reduction. Additionally, the client can remain clothed so that modesty issues and/or difficulties in disrobing are effectively addressed. Geriatric Massage: Geriatric massage, or elder massage, addresses the psychological and physiological aspects of aging and its associated diseases. All the benefits of massage are present. For the ambulatory senior, these benefits can have added value. For example, improvement in circulation can prevent the complications of diabetes such as leg ulcers or gangrene, and passive stretches and strokes that increase range of motion can have a profound impact on the quality of life of an arthritis sufferer. A chief way massage helps seniors is to combat depression and physical pain by releasing endorphins (natural pain killers and mood elevators) into the system. Geriatric massage is more than modified Swedish massage. The therapist will individualize the massage in many ways, including the position of the client on the table, bolstering and support pillows used, the lubricant used, and the length of the massage. The older person's skin may be thinner, or the client may suffer from osteoporosis, so pressure will need to be lighter and slower. Gentle Myofascial Release: The fascia is the thin sheet of connective tissue that covers every structure in the body. Furthermore, this single sheet of tissue is uninterrupted as it travels 3-dimensionally from head to toe, front to back, and interior to exterior. It provides a matrix for intercellular communication and acts as the body's first line of defense against disease and injury. This single sheet of 3-D fascia envelopes, supports, and protects every structure in the body, including every single one of the six trillion body cells; every muscle fiber, muscle and muscle group; every bone, blood vessel, nerve and organ. Fascia literally holds the whole body together and gives the body its shape. 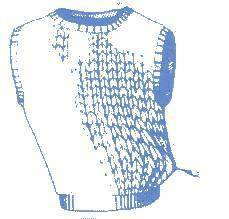 If one part of the body's fascia is contracted or injured, it can affect tissue all over the body, just as stretching a thread on a sweater can pull the whole sweater out of proper alignment. Touch for Health® Kinesiology: Touch for Health® Kinesiology is a safe and practical touch-healing process of balancing the body's natural energies to ease discomfort of common aches, pains and stresses of daily living. It is a combination of ancient Chinese principles and recent Western developments in wellness and preventive health care. It uses muscle testing to let the body speak for itself and tell the client and practitioner what needs to be corrected. Then by using techniques such as tapping, meridian balancing, and color therapy, the imbalances are corrected and retested. Touch for Health concentrates on preventive health care and on the elimination of stress and the effects of trauma on the body/mind. The client is clothed during a session. Reiki: Pronounced ray-key, Reiki is a Japanese word meaning Universal Life Force, or Life Energy. It is the energy that is all around us and within us and through us. Reiki is a system of natural healing that was developed in Japan in the early part of the twentieth century by Dr. Makao Usui. Dr. Usui spent many years meditating and studying ancient teachings. Once he had discovered the techniques of Reiki, he spent the rest of his life practicing and teaching Reiki. Today, Usui Reiki is taught by Reiki masters to students and so continues to be passed down in a direct line from Dr. Usui. There is no belief system attached to Reiki, so anyone can receive or learn to give Reiki treatments. The only prerequisite is the desire to be healed. Receiving a Reiki treatment is a simple process. The client lies on the massage table and relaxes. There is no need to remove any clothing as Reiki will pass through anything, even plaster casts. The therapist gently places her hands on the client or just above the client's body in a series of positions. The whole person is treated, and because Reiki is energy, it goes to where it is needed. 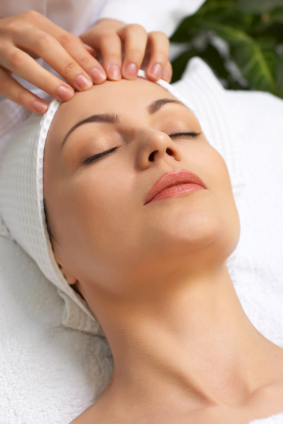 The client may feel warmth or tingling and experiences a feeling of great relaxation. Polarity Therapy: Polarity therapy was developed in the 1950s by Dr. Randolph Stone out of his experience as an osteopath/chiropractor/naturopath and his study of systems of healing in India and China. Alan Siegel further developed the therapy. Siegel's student, Dr. Richard Overly taught Sandra Tompkins. Overly and Tompkins are also teachers of Gentle Bioenergetics. Tompkins is Suzanne's teacher. Polarity Therapy teaches that there is a life energy flowing through and around the body that forms a matrix for the body. In other words, there is an energy pattern that underlies the physical body. Many cultures in the world have a term for this life energy such as qui, chi, prana, ki, ruach, and orgone. If the energy gets blocked, it can cause dysfunction which may appear in the body as pain, soreness, or tightness. Trauma may occur to the body distorting the energy pattern. Usually the energy will rebalance itself, but when this does not happen, Polarity Therapy can assist the rebalancing. Polarity Balances are not a substitute for medical evaluation or care. Reflexology: Reflexology is a gentle complimentary therapy based on the principle that there are reflex areas in the feet and hands that correspond to all of the glands, organs and parts of the body. It is really a whole body treatment that is given through massage and manipulation of the feet. The client is clothed unless he or she wants other bodywork done, and reflexology is often worked into Swedish or other whole body massage. Aromatherapy Massage: Smell is the first senses to develop in the newborn, and odors can have a profound effect on us at a physical, emotional, and mental level. When applied to the body, essential oils penetrate the epidermis by way of the sweat glands and hair shafts. They then bypass the blood/brain barrier and are absorbed into the body fluids. Once internalized, they stimulate the body's immune system and help to kill bacteria, fungi and viruses. Additionally, essential oils increase blood and lymph circulation, promote cell growth and tissue repair, and calms the sympathetic nervous system (fight or flight) while stimulating the parasympathetic nervous system (rest and digest). They have a powerful effect on moods and can lift depression and calm the mind. Combining aromatherapy with massage is one of the best ways to experience the healing effects of both therapies. Combined, massage and aromatherapy stimulate all the systems and organs of the body, including the skin, nerves, muscles, circulation and endocrine systems. Corporate Chair Massage: Employers who offer chair massage to employees soon reap the benefits of this excellent incentive and reward. Studies show that relaxed workers perform their jobs better especially since over 50% of lost work days are reported to be stress-related. Stress at the workplace also increases accidents and attrition. A fifteen-twenty minute chair massage relieves employee stress. Employers report increased alertness, speed and accuracy after an onsite chair massage. Event planners and trade show hosts are finding that onsite chair massage draws in potential clients and keeps them there to hear the company's message. Offering chair massage is at an event provides a valuable and desirable service, is convenient and economical, and is flexible enough to suit the requirements of the space and the host. Typically 1 hour=$60 plus travel expenses. Call for quote. Relieves chronic pain from conditions such as arthritis, migraine, etc.